Village – Sarabha, District Patiala. Bhai Sahib punished many traitors and informants. Bhai Sahib battled against the Indian security forces for 45 minutes and killed four officers. Bhai Sahib was born on 5th April 1971 in the house of Sardar Harchand Singh in the village of Sarabha, district Patiala. Bhai Sahib completed his primary education within the village. Bhai Sahib passed his metric in Ludhiana as the whole had move to the city of Ludhiana for Sardar Harchand Singh to carry working. After passing metric, Bhai Sahib and the family returned to the village. Bhai Sahib had 2 brothers, the older brother is an army officer and the other brother works in Ludhiana. Bhai Sahib was an active member of the Sarabha Sports Club. Bhai Sahib and friends took part in the annual sports tournament, which was held in remembrance of Shaheed Kartar Singh Sarabha. Bhai Sahib was playing football at a district level. All of a sudden on 21st July 1990, the Punjab police had surrounded the Gurudwara of Sarabha village and arrested the Granthi Singh of the Gurudwara and his 13 year old son. It was on this day that the blood of the Sikh youth in Sarabha had started to boil. 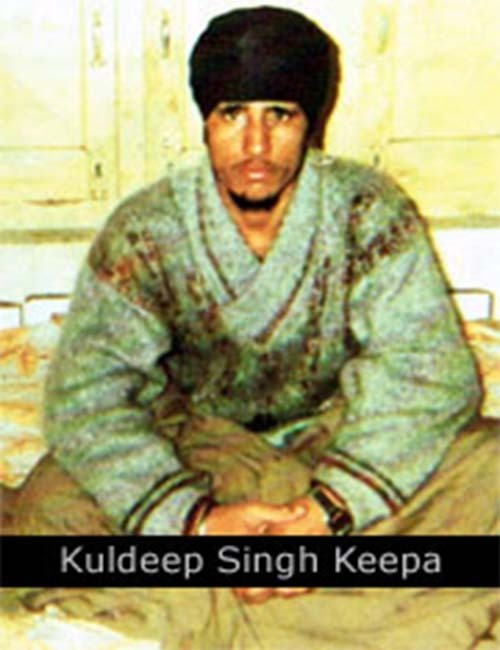 The son of the Granthi Singh was released from the CIA Headquarters in Ludhiana, after the local panchayat got involved. From that day the police would regularly raid the houses within the village. The police would say that Bhai Baghel Singh Anbuwal and Bhai Sahib Singh Jandhi of Khalistan Commando Force (Zaffarwal Group) were training the local youth in how to use weapons. The Granthi Singh was once again arrested after being released and brutally tortured by the dogs of the Punjab police. Once the Granthi Singh was released, he and his son joined the Khadku Singhs and entered the battlefield. Bhai Sahib also started helping the Khadku Singhs in secret. Bhai Sahib turned himself in on 21st January 1991 / Bhai Sahib was Jailed. A traitor of the panth had given the details of Bhai Sahib to the police, the police then raided the house of Bhai Sahib but Bhai Sahib was not at home that day. Bhai Sahib had made his mind up on not returning but Sardar Harchand Singh talked his son into presenting himself at the CIA Staff Headquarters in Ludhiana to DSP Shiv Kumar. The DSP told the panchayat that Bhai Sahib would be released within two days after questioning, but the traitors were ringing the DSP and telling him that Bhai Sahib is very dangerous and Bhai Sahib holds information on all other Sikh youths in the area. Singhs such as Bhai Sapuran Singh Pappu, Bhai Satinder Singh Lucky and Bhai Harkewal Singh were in contact with Bhai Sahib. 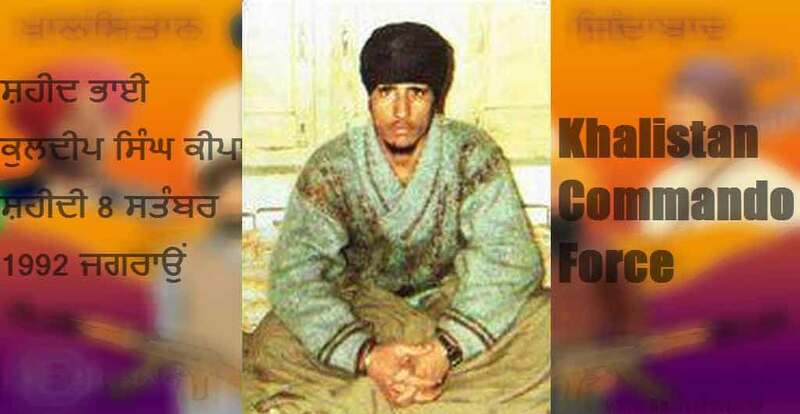 Bhai Sahib had turned himself in on 21st January 1991 and on 23rd February 1991 the police charged Bhai Sahib with murder and in possession of two pistols, Bhai Sahib was jailed. The police were now hunting Bhai Sahib like mad dogs. On 8th September 1992, the Jagraon police (Ludhiana) surrounded Bhai Sahib after a tip off from an informant. Bhai Sahib battled against the Indian security forces for 45 minutes and killed four officers. When Bhai Sahib ran out of ammunition, he swallowed a capsule of cyanide and drank the nectar of martyrdom as he shouted war cries of “Bole So Nihal, Sat Sri Akaal!” Bhai Sahib had given his life for the Sikh panth. On the day of Bhog, the Punjab police surrounded the village and did not let the Granthi Singh complete the Sri Akhand Paath Sahib.